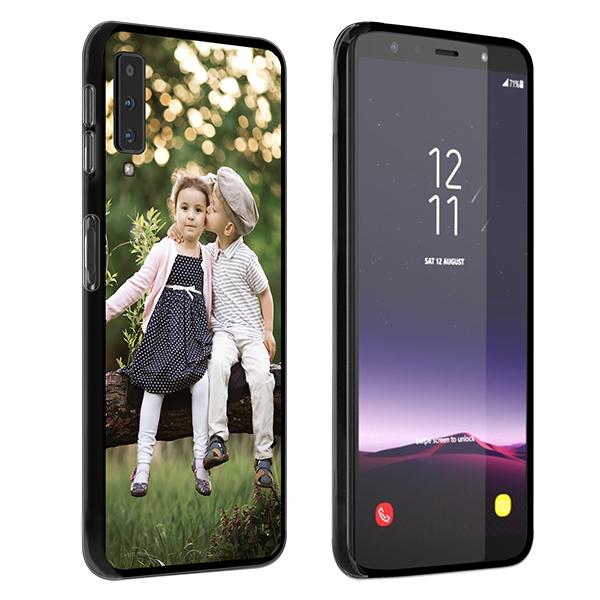 Design a personalised Samsung Galaxy A7 (2018) case. Create a unique case with your own text, photo, or logo. 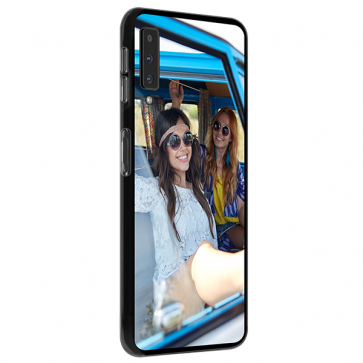 This personalized silicone case is the optimal protection for your phone. 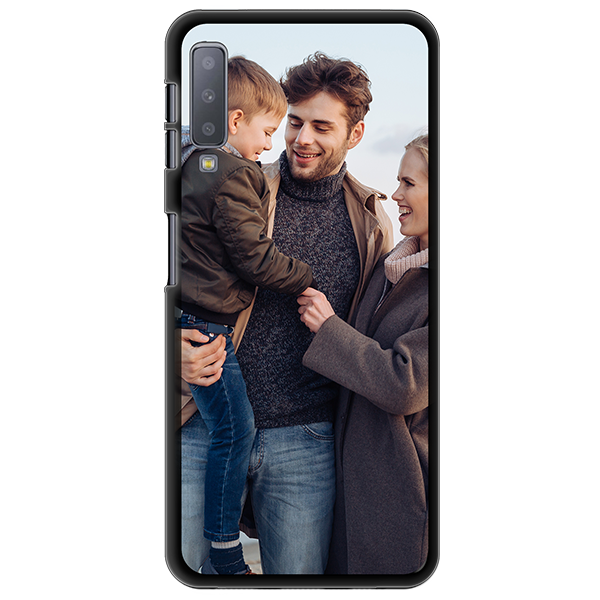 Making a personalised Samsung Galaxy A7 (2018) case is easier than you think. First, upload your favourite photo or personalised design from either your hard drive or personal social media account. If you want, add a text to make it even more unique. You've reviewed your case and have determined it’s perfect? Then you're done! Your personalised phone case can be ordered and will arrive at your door soon.